Does your website do what you want it to do? Or are you working how your website dictates? We are skilled in converting your offline business process into an online website solution, making it easy for you to interact with your customers and deliver a quality service. This flexibility is ideal for selling products with particular requirements, custom online booking systems and database-driven programs. Work YOUR way and give yourself the edge over your competitors. 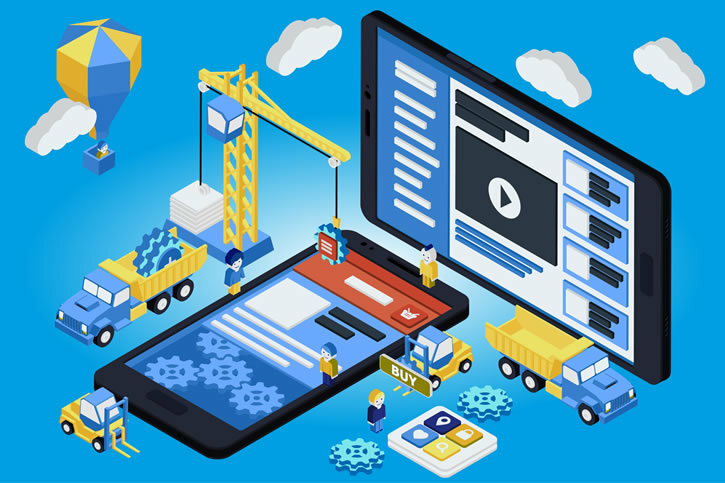 Our unique content management system is a fully customisable application development platform which allows our in-house development team to create a website from the ground up. We are not restricted to templates but work with the program building blocks. This gives us the flexibility to design and build a web system that really works for you and your customers. Additionally, once your site is up and running the people who built your site are also the ones looking after it for you. Software and programming are an ever-evolving system, with maintenance and updates an important component to keep operational as technology changes. We employ our own developers in Australia, which means you have local support in business hours. If you do experience any problems with your site, at least finding someone to help isn't going to be one of them! Support for our clients is a cornerstone of our business. Increased competitive advantage by offering your products or services in ways your competitors can't. What sort of businesses does this work for? Fully customised delivery calculation to deliver very bulky items to anywhere in Australia (including a local depot pickup option). Inclusion of a delivery quoting option allowing for an interrupted ordering system. This allows the order to be changed in the back end (such as adding a manual calculation of shipping); then advises the customer and progress the Order to online payment. An automated eCatalogue allowing sign up of Australian Food Suppliers, interested in exporting food. Categorised into specific food types. Used by International Buyers to find Australian products they may wish to import. Automatically generate insurance quotes using complex forms with input validation and conditional questions. Hire of products on specific dates; inclusion of holiday loading for specific dates. Do you need Web Development? So if you have a unique service or product offering and need an experienced and successful web development team that can create a website to match your vision - then give us a call.